Discussion in 'Bodywork' started by selphy, Nov 22, 2014. [FONT=&quot]I replaced my lazy S211 tailgate struts today. Here are a few notes which might help you if you are considering the job yourself. It took me about an hour to do the first side and 15 minutes to do the next side as by then I knew what I was doing. I got the new ones from ebay, listed as Febi Bilstein 32045 and 32046 for about £50 each which is less than half the main dealer price. They turned out to be identical to the original and once I opened the packaging I found they were labelled Stabilus just like the originals. You might want to also buy some spare expanding plastic trim rivets as they're easily damaged. [FONT=&quot]Suitable tools to remove / release plastic trim rivets. [FONT=&quot]Open the tailgate and prop it up safely. Replace one gas strut at a time. Be careful that your prop doesn't fall out when you've got your fingers in the mechanism. The tailgate is surprisingly heavy and I think you could easily mangle your fingers if things went wrong. [FONT=&quot]Working in the car again, recover the plastic cover plate through the hole in the head lining. It's a bit fiddly to remove unless you've got long fingers. [FONT=&quot]Refit the covers and trims. [FONT=&quot]Notify your other half about the work so they aren't taken by surprise by the energetic tailgate lift. They might also complain it's harder to close if they've got used to it dropping down easily. MikeInWimbledon, SL300-24, PaulXC and 3 others like this. I followed the instructions today and swapped out the struts in about 2 hours taking it slow and easy. 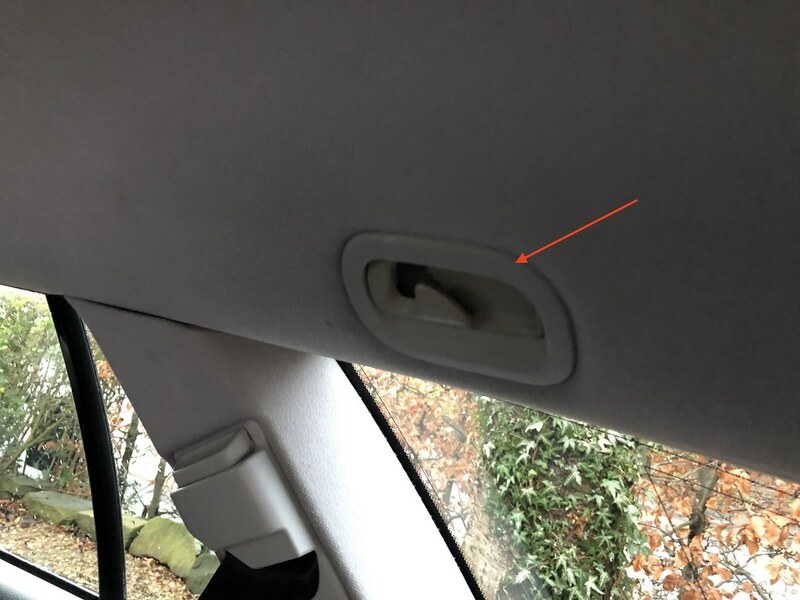 I could release the plastic cover plate from inside the car - if you squeeze it, it pops out. Using a big flat bladed screwdriver poked through the cargo-net securing trim hole in the headlining, pry the gas strut balljoint socket off the ball which is attached to the car body. A small motorcycle tyre lever was just the right shape to get in the hole and lever the balljoint socket off the ball. Notify your other half about the work so they aren't taken by surprise by the energetic tailgate lift. They might also complain it's harder to close if they've got used to it dropping down easily. Do you have any photos for this guide? Sorry I forgot to take pics - but it's quite a straightforward job to do. Once you remove the cargo net securing trim in the headlining you can see the end of the strut with a torch and its more accessible than it sounds. Once you remove the trim around the tailgate area at the other end that part is easy to see. Once I'd done one side the other side only took 15 mins to do. Those Febi bilsteins are the same as the original branded kit, both on my old E500 and on my 535d touring which has also needed the same done after 10 years in place. As you've said, EBay is the best place to source them. Your post will save others a goodly chunk of time. I don't like the idea of removing the headlining. It's things snapping and not going back together that worries me with interiors. But the cargo net, trim do we need to go that far back, or are you referring to just the pull back cover that slots into the trim right at the back of the boot by the bumper? You don't need to remove the headlining just the cover marked in the first picture. Behind the cover you will find the end of the Gas strut on a ball joint which you can lever off the joint. The cover is held on by a torx screw. 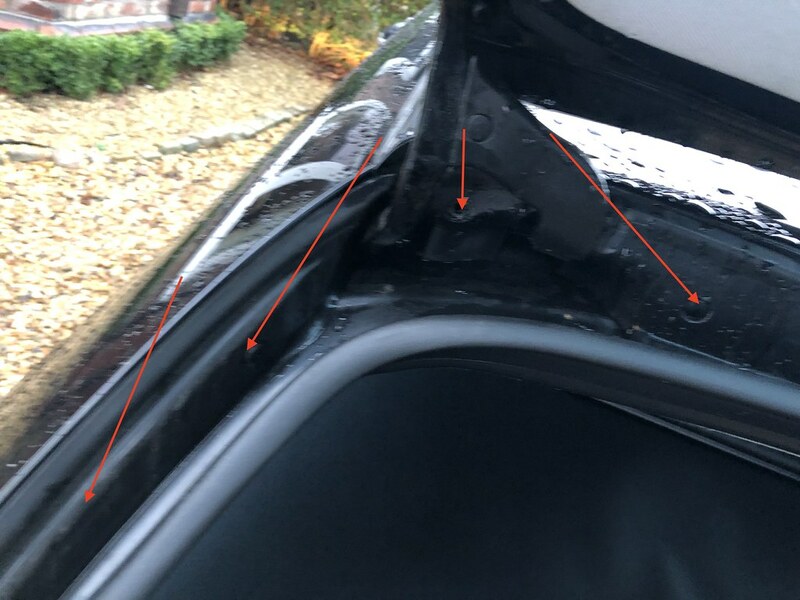 The tailgate end is easy to get to - you need to remove the plastic trim by removing the various plastic fixings - once done you can see the other end of the strut. That does help, thank you. I shall take a look at mine when I can. I've got that bracket/cover off where the cargo net goes, now there's the metal bracket behind which which the Torx fits to, I can't get that off. It feels as if that has to come off as I can't remove the cover/plug which exposes the gas strut with the bracket on. Found a way in, it was very tricky moving that plug around. I just wanted to have a look first, I haven't ordered any struts yet. Just been looking, they're very expensive ones too. Does anyone know the actual difference between the struts for auto tailgates and struts which are non auto? From what I can see, the only difference is a spring. Not sure about the difference between auto and non auto tailgates but don't buy those - they are not right! I ordered some in error from SGS and had to send them back. - these struts fit the cover hatch in the floor of the EClass estate - not the actual rear hatch door. Yes those struts are the ones, with the springs. There are also ones for the tailgate without springs, perhaps the auto tailgates are using the mechanism in place of the springs. However, I wasn't expecting that price tag.